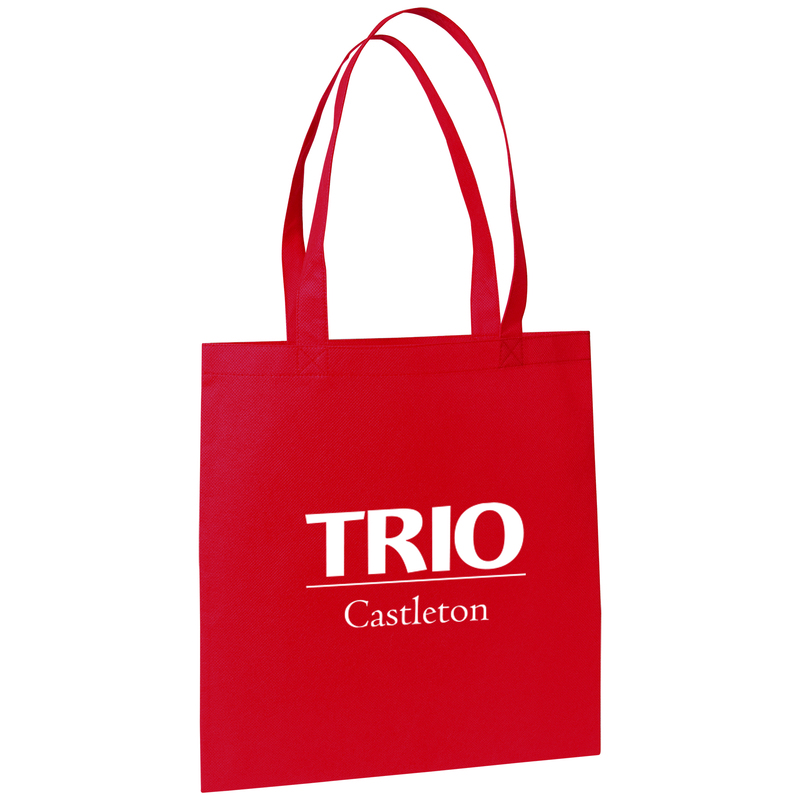 Made of durable and eco friendly 80 GSM Polypropylene material. Sleek open tote with interior seams. Reinforced handles, 22” in length.